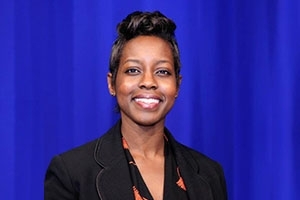 Born to Sierra Leonean immigrant parents, Linnisa Wahid SIS/MA ’04 initially pursued international affairs because she was shocked at the lack of media attention and scant international efforts aimed at ending Sierra Leone’s civil war (1991—2002). That’s why Wahid enrolled in the International Peace and Conflict Resolution master’s program with a concentration in Africa. While at SIS, she interned as a Pickering Fellow in the Bureau of African Affairs in the Department of State where she analyzed regional and security affairs. Wahid continues to serve at the Department of State, now as a Foreign Service Officer. She is the coordinator and instructor for the Foreign Service Institute’s Political/Economic Tradecraft course for all new political and economic Foreign Service Officers. She previously served as the senior Sudan desk officer in the Office of the Special Envoy for Sudan and South Sudan and served as a political officer in Sudan, Cameroon, and Jordan.